Pictures of short hairstyles Photos of short hairstyles for women, created by leading hairdressers worldwide. The latest haircuts for straight, wavy and curly short hair. 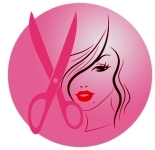 Detailed descriptions of the styles and often instructions on how to cut or style the hair to recreate the look. More than 2000 short hairstyles to choose from! 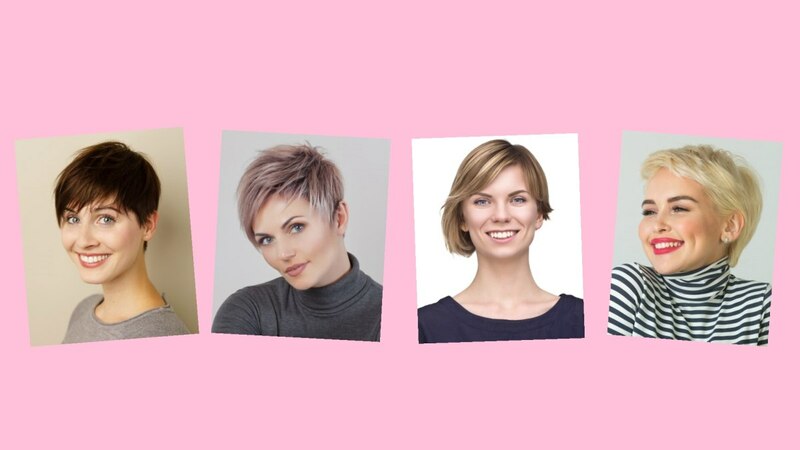 Find your favorite haircut and take the photo to your hairdresser! Hairstyles software Not sure yet whether or not going short would be a good dicision? Use hairstyles software to try different short and very short hairstyles on a photo of yourself and see what you would look like if you decide to get your hair cut. There are hundreds of haircuts to choose from, and different hair colors too. Celebrity short hairstyles Photo galleries with female celebrities sporting short and very short hairstyles. Celebrities are often trendsetters and once in a while haircuts are named after a celebrity. Samples are the Pob (Posh Spice Bob) and the Aggy (Agyness Deyn cut). All hairstyles come with descriptions and styling instructions. Short bob hairstyles A short bob can be both modern and classic and any woman can look gorgeous with the right bob. The style is appropriate for any occasion and very comfortable to wear. Styling is quite easy and almost no styling aids are required. A bob is a fairly low-risk short hairstyle since the shape is perfect for if you ever decide to grow your hair long again. Short hairstyles for 40+ women The results of a before/after photo shoot about short hairstyles. Makeovers for women with raspy short hair, with special emphasis on the haircolor. The results are beautiful and prove again how easy it can be to change a woman's type with a new haircut, perfectly balanced haircolor and make-up. Short hair advice Tips and advice for short hair looks. Everything you need to know before taking the plunge and going for a short hairstyle. There is a short hairstyle for everyone. However, before going short you need to take certain things into consideration and find the right cut to suit your face shape and features. Books with hairstyles A selection of books with hairstyles. Including professional books, used in hair salons to offer clients the most recent haircuts to choose from. Several books with beautiful pictures of short hairstyles. Before and after photos, celebrity makeovers and classic, conservative and trendy hairstyles. Classic short celebrity hairstyles Usually, the idea of celebrities conjures images of starlets with long, flowing hair in ornate arrangements. But there have always been stars who marched to their own drummer when it comes to hair fashion. Often, they have been trendsetters with short haircuts, starting fads and trends that soon spread throughout the world. Celebrity Hairstyles News - Very Short Hairstyles Photos of very short celebrity hairstyles and tips for styling and maintenance. Includes Alyssa Milano's short and sassy look, Lauren Holly's short pixie hairstyle with a small fringe, Ashley Scott's short hairdo with layers, Sharon Stone's short shag hairstyle and many other short celebrity looks. Greatest Look Short hairdos and short hair makeovers. Photo galleries with short and very short hairstyles for women. All photos come with descriptions and additional information about the cuts. Pictures of hair makeovers to give you an idea of what a new haircut can do to a person. Hairstyles Plus Short hairstyles to inspire women. Comfortable and low-maintenance short haircuts for a stunning new look and a head turning effect. We often stick with the same haircut for a long time and forget how much fun it can be to experiment with new looks.